“Crystal Clear” is Dunn’s full-length release on BEC Recordings, he has a respectable repertoire of EP’s already, and an apparent aptitude for writing. For this project alone he reportedly had nearly a 100 songs to choose from. Like any good storyteller, Dunn is able to project real life struggles and a good measure of faith in his songs. “Crystal Clear” is inspirational lyrically, and sonically it’s poetical-pop, primarily radio-friendly, but not entirely stereotypical or uninventive. I found that it was uniquely creative and the messages were edifying. A couple of the tracks that specifically spoke to me were “Ready to Be Myself” and “No Matter What.” I can relate to both in my daily walk and they server as good reminders/encourages as I walk in faith each day. 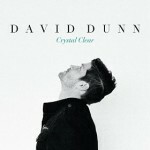 For more on David Dunn, check out his official website at http://www.daviddunnmusic.com/. “All You’ve Done” is not what I had expected. I had anticipated that a duo of such would be more singer-songwriter and acoustic guitar focused, but I was mistaken in my presumptions. 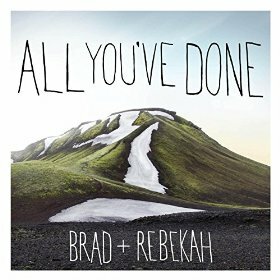 Brad + Rebekah are actually more of a contemporary worship team with big choruses and hand-raising rhythms. However, they do leverage the “duet” portion of the band buy sharing lead vocals on various tracks, adding a dynamic and unique sound to the album. 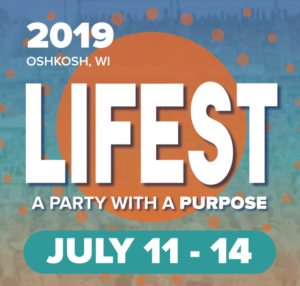 There is a good mix of performance and congregational-based tracks that could provide for both a personal and corporate worship environment. I particularly like the tenderer “Christ is Alive in Me” and in contrast the buoyant “Wake Up!” These two songs personify the ranges on the whole album. For more on Brad + Rebekah check out their official website at http://bradandrebekahmusic.com. 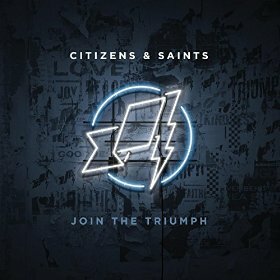 I have always loved Citizens & Saints rhythmic tones and more progressive approach to worship. They have creatively restructured some classic hymns in a modern indie rock package, likely introducing the hymns to a whole new audience. They also have done a very respectable job writing their own original modern hymns. The latest, “Join the Triumph,” comes with 16 tracks (deluxe version) at an hour of playing time. My favorites are many, but to get a good idea of what the band is like overall you could focus on “There is a Fountain,” an old hymn with a cool new electronic soundtrack. The deluxe version also contains a few remixes as well, which generally are not my favorites, but the Cesar P remix of “Made Alive” is an energetic new twist to an already adored track. “Join the Triumph” has the best of the old and the new. It’s a style that I find both refreshing and uniquely inspiring. 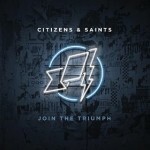 For more on Citizens & Saints check out their official website at http://www.citizensandsaints.com/.